Taking your kids to the park is a great way to pass the time. They burn off excess energy so they’ll actually go to bed at night, and playing outside is one of the healthiest activities they can do. 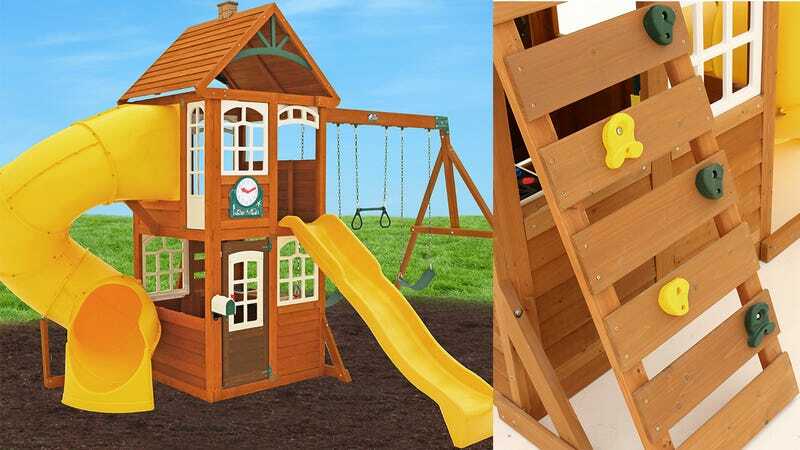 Bring those benefits right into your own backyard with the Kidkraft Castlewood Wooden Play Set, $950 off today at Walmart. You’ll even get a workout of your own when you put it together — fun for the whole family!